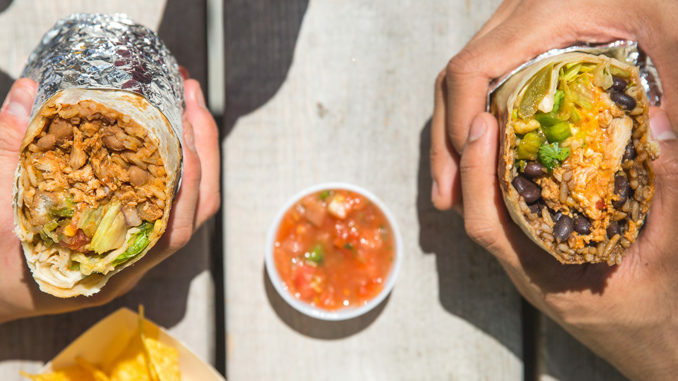 BarBurrito will be giving away 500 burritos at each of its Edmonton, Alberta locations on Saturday, September 22, 2018. The chain is hosting the event as a show of appreciation to fans in the Edmonton community for embracing the brand over the past 12 months as the chain opened eight new locations. In order to take advantage of the offer, simply stop by any Edmonton BarBurrito on Saturday and you’ll be treated to a fresh, hand crafted burrito the way you like it, on the house while supplies last. Some Edmonton stores open at 10:00 a.m., while others open at 11:00 a.m.
There’s also a limit of one free regular size burrito per person during the event.